And now…your video! For my smart device readers who might not be able to see videos embedded: Click here for the video. Love this autumn-y card & will have to try this technique. And thanks for the tip about using the tape runner to adhere the delicate pieces down; seems much easier & less messy than using wet glue. Am enjoying your tutorials! 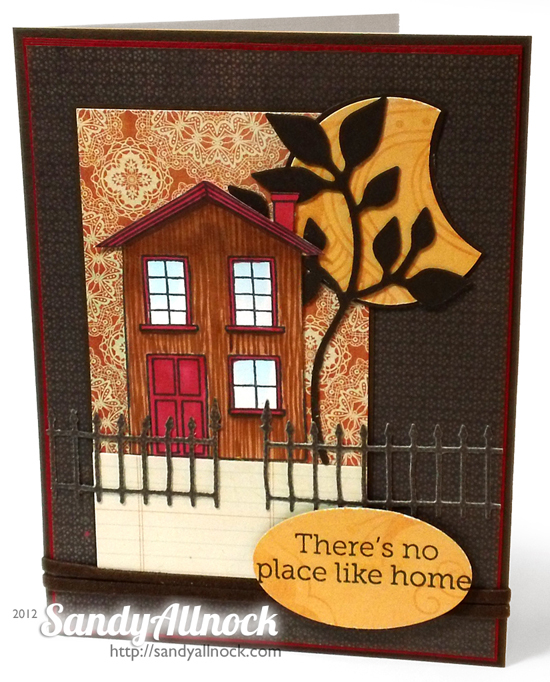 Wonderful card–I like how you made the woodgrain look and the papers you used. 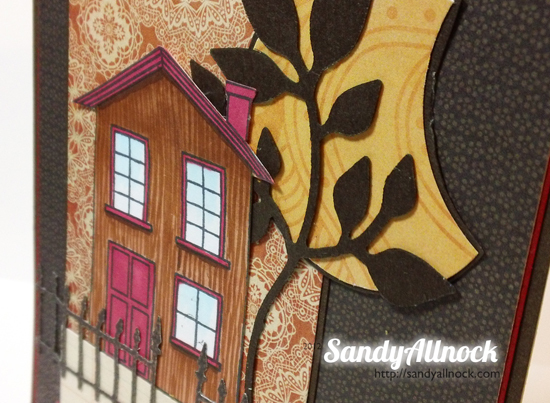 Beautiful DP choices, Sandy; your card has all the warmth of autumn & home! You make it all look so easy! Another fabulous card! This is over the top awesome! I absolutely luv watching these videos for ideas- I can’t believe all the stuff you can do with one stamp! Thanks so much for sharing and keep up the good work! Sandy okay I am sold I now know I need this stamp. Such great ideas. Did you use the dies in a cuttlebug? Another great lesson! I really like the fall feel with the colors you chose. I’m lovin how you did the moon and made the tree. Love the autumn feel of the card.